Hello 🙂 Do you have any garden? Do you like gardening? I love being in the garden and working there 🙂 It relaxes me so much! And don’t we all need some relaxing time? So if you like nature, gardens and gardening, maybe you would join our challenge this month, because the theme is GARDENING. Louise has featured photos of a large protea on her layout which was part of the brides bouquet at her godsons wedding. the wedding was an outdoor wedding and Australian native flowers were used in the bridal party bouquets and the venue decorations. Once again the Verano Azul range was perfect for this layout and theme. 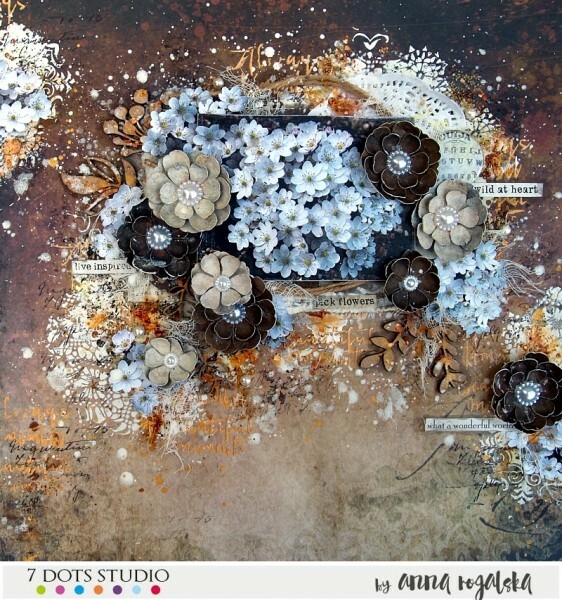 I used the new Home Grown collection for this layout. The Happy paper was perfect for my natural hot springs picture that I took in Costa Rica. This tropical paradise picture needed vibrant colours so I painted the flowers and leaves from the background with water-colours. I rotated the Happy paper so the flowers would be at the top. This gave the illusion that they were hanging. Then I coloured them in with water-colour paint and added some Home Grown chipboard and flowers to make it look like a beautiful tropical garden. 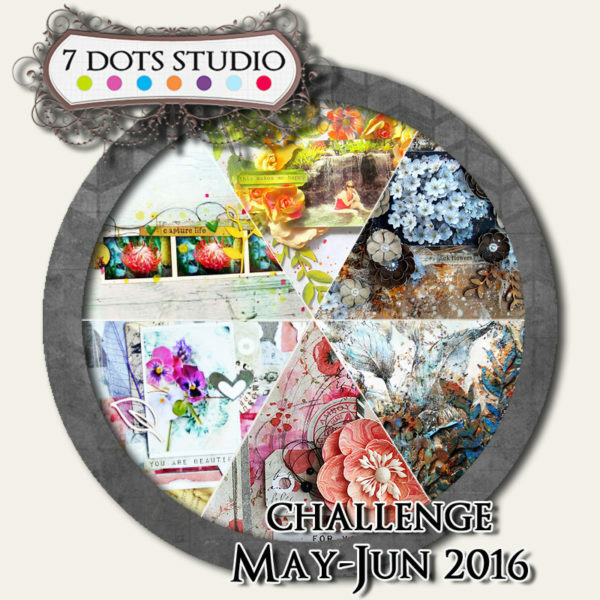 For the May Challenge I made two floral greeting card. I love spring flowers. I hope I was able to convey the mood of a blossoming garden. Spring is here! It is a season filled with so much magic. I really love gardening and nature. This is my greatest passion! Plants are amazing in their variety. Working hand in hand with the soil and sunshine and rainfall and providing plants with love and care. Nature is so wonderful and continually brings surprises to delight us. 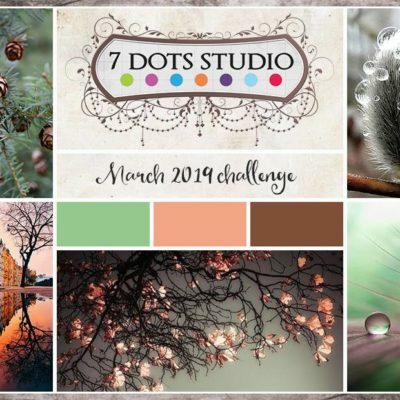 I used the latest and wonderful collection of 7 Dots Studio ‘Fortune-teller’. On my layout is a picture of Hepatica nobilis ‘Alba’. All of the flowers I made by hand from 7 Dots Studio paper. 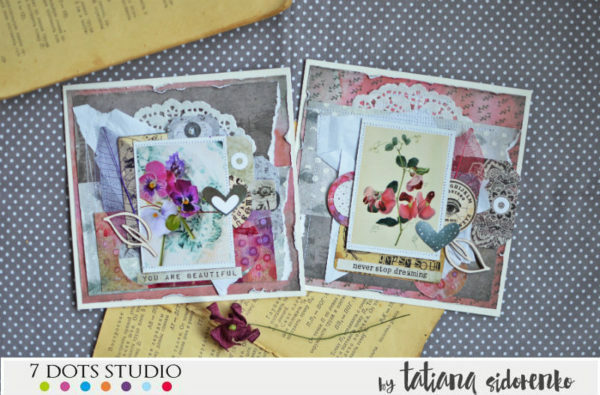 Garden theme made me think about blooms and those blooms turned into these cards. 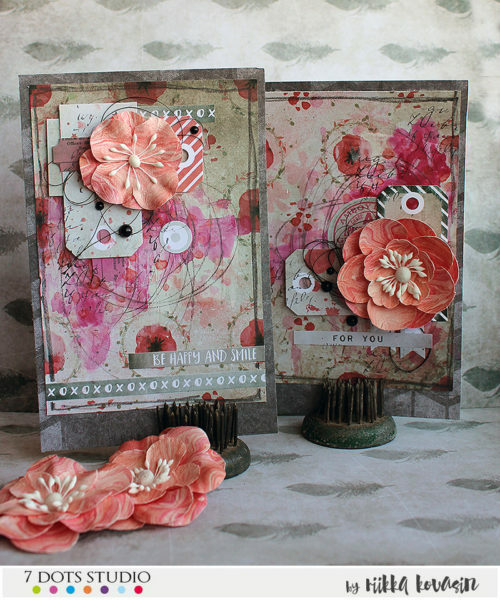 Of course when the original inspiration was blooms and flowers, there was no other paper to choose for the base as the poppy patterned one from the Homegrown collection. There something appeling in wild gardens where nature sets its own rules in this haven for omnipresent wildlife. There is something mysterious in secret paths leading through cascades of grass, flowers and leaves. 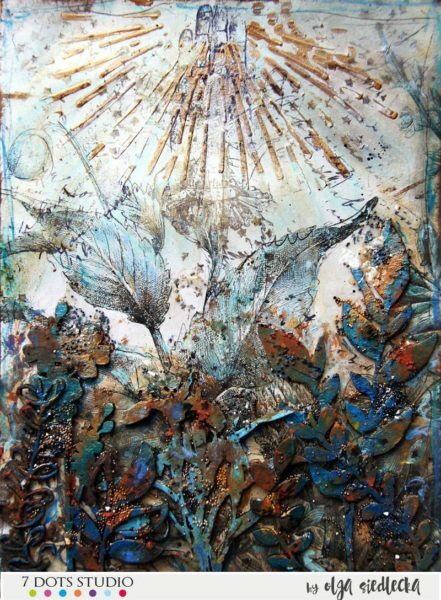 There is something delightful in herbal oils which waft in the air filled with bees and butterflies. Maybe everything is made out of magic: trees, flowers and birds, which we are often not able to see? 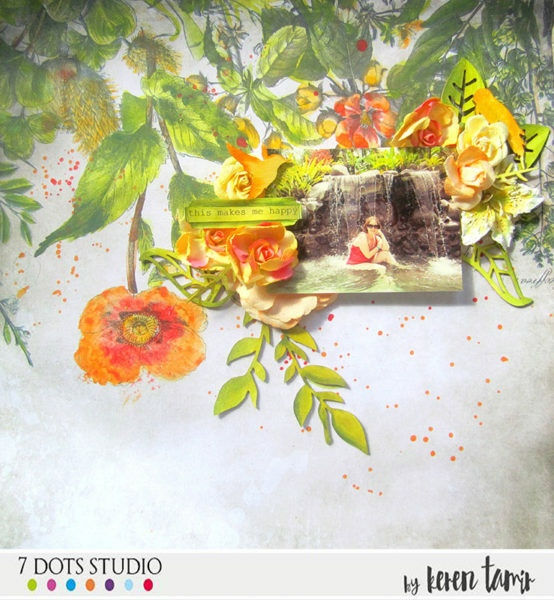 When I think of a garden and 7 Dots Studio I think of the gorgeous Verano Azul collection. 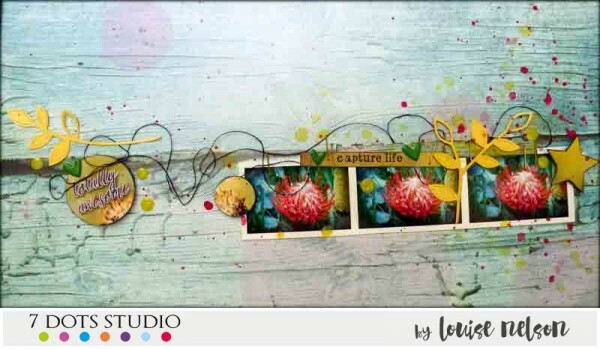 The beautiful floral photography makes perfect papers to create colourful garden themed cards and the sentiments and quotes are perfect to say exactly what it is you want to say with your card. Gardening with my kids , is my passion beside scrapbooking and healthy living…Spring is here, flowers bloom,nature awakes!! i used a Verano Azul paper to play with and Lost and Found stickers..And guess what stencil i loved too…Yes…Homegrown !! Vivid colors for me ,like my mood lately and a spring mood with a light breeze feeling. We announce winners by the end of the June. 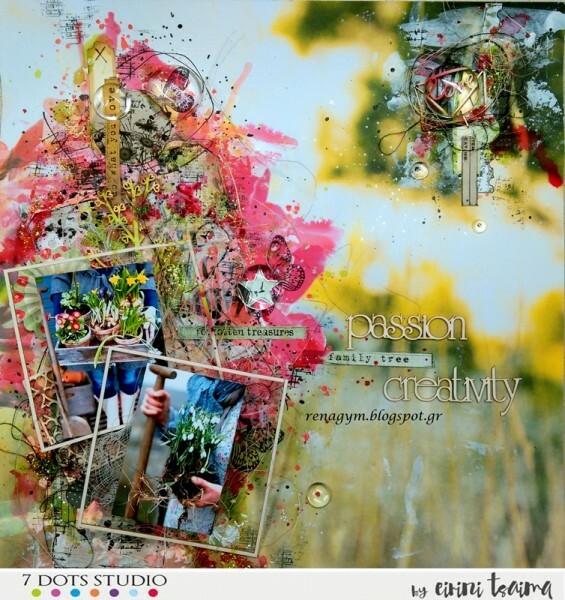 One lucky person will win four 6×6 designer pads!